Recognized as one of Canada’s top 5 boutique commercial real estate firms by Canadian Lawyer Magazine, Harris, Sheaffer LLP specializes in structuring and completing complex real estate and land development transactions on behalf of many of Canada’s leading condominium and real estate developers as well as protecting the interests of our financial institution lending clients. 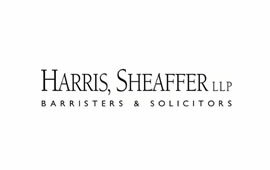 Harris, Sheaffer LLP enlisted MediaTown to deliver the whole package. MediaTown delivered, and executed a custom website design armed with landing pages, SEO tools, and social media integration.